How To Get A Place In The London Marathon? 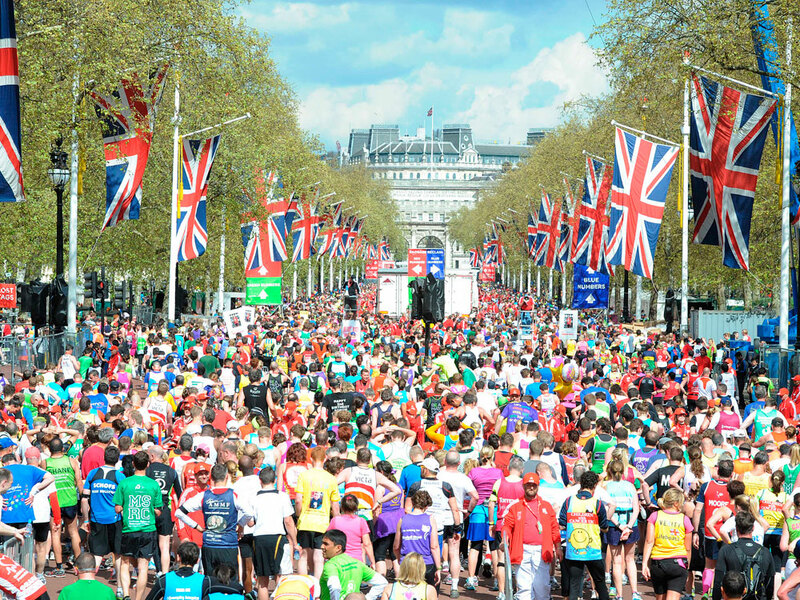 With all this talk of the London Marathon, are you feeling inspired to enter next year's event? Here's how you can take part in 2015. 1. The online ballot for the 2015 Virgin London Marathon will open on Tuesday, April 22. The ballot alone receives over 120,000 applications (the 2014 ballot received 125,000 in a record 11 hours 25 minutes). Those who enter via the ballot will have to wait until October to hear if they’ve got a place in the 2015 race. Enter the ballot on the official website here. 2. Race for a charity. Charities are allocated ‘Gold Bond’ places. To get one of these you’ll have to pledge to raise around £2000, this is because the charities themselves will have had to pay an entry fee for each runner. To find out more, and to browse a list of participating charities, check out the Virgin London Marathon charity listings. 3. Have you taken part in the London Marathon before? If you’ve completed the marathon in a fast time previously there’s a chance you could qualify for an automatic ‘good for age’ entry. For men aged 18-40 this is between 2h45 and 3h10, and for women aged 18-40 it’s 3h15 – 3h50. 4. Did you have to pull out of the 2014 London Marathon? If you had to withdraw from this year’s race due to injury or illness you may be eligible for a fast-track re-entry. You must submit your entry by 5pm on June 20, 2014. Click here for more information.